Chosen. As nice as the experience always is -- stumbling upon an artist or an album or a song which you've never heard or even heard of before and finding absolute magic -- there is still something particularly extra special when you have every indication of greatness long before the arrival of something or someone and they still manage to impress. Now, I am not referring to those good feelings or suspicions you may have about a particular project, which not too many others may share, as I did last year in the case of Mark Wonder's brilliant "Working Wonders" album. What I am talking about are the very few occasions when we, as Reggae fans, or as music fans in general, get to relish the GUARANTEE. The prime example of such a… not now! I'll take the direct approach this time. The question you may have in relation to an Etana album or even a song these days is whether or not it is as good as _______. You can compare it to something else, you can even compare it to itself if you like, but you aren't going to be asking about its actual quality. You already know it is going to be good. In her entire career, Etana has become one of the very few consistently SPECTACULAR lights in Reggae music and she's progressed wonderfully to a point where, as I said, you simply do not have any need to question her work. At its absolute WORSE it is going to be somewhere in the range of 'pretty good'. However, with that being said, hearing her on the other side, at her absolute best, is a downright appetizing scenario and Etana has shone as bright as anyone in the genre when it comes to albums in recent years. While she may not be the type to release multiple sets in a single year (although that would be amazing), Etana, like Tarrus Riley right now and Capleton before them, has reached a point where their album releases, regardless of what else is going on at the time, is THE leading story as far as Reggae albums go and with good reason as well. They're fantastic. And just as she has become a star on that front, Etana also stands as someone who we’ve, essentially, watched grow completely as a musician and for every artist who has come up and gone through the various stages that you just KNEW was going to be a star, but didn't reach those levels for some reason or another, there is Etana's story, on the other end - someone who everyone suspected would be great someday and "someday" has arrived. Surely if you pay attention as closely to album releases that I do (I write about one hundred of these a year) (which is ridiculous! ), then what Etana has done between her first two albums is about as remarkable of an achievement that I can think of for someone at the point she is in her career. In 2008 the STUNNING (every time you see her, she looks better and better) native of August Town would release her debut set, "The Strong One" - I heard no finer album in that year. Three years later she would follow that release with her sophomore project, "Free Expressions"… and I heard no finer album in that year either. Two albums, two bonafide Albums of The Year and the time in between has been spent dropping big singles for a variety of talented producers across the world and, really, just growing into her role as being one of the dominant and most respected figures in all of Reggae music (more on that later). So what do you do to follow up a stretch like that? You take it further. 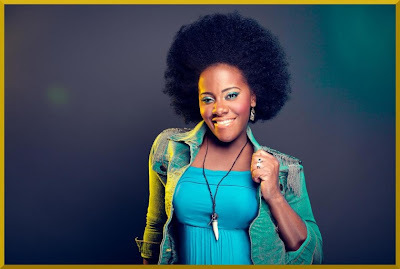 Besides KNOWING that it would be some type of exceptional, whenever it arrived, you were also sure that Etana's third album would also be hailed as the full big deal that it was and that has certainly been the case as, even prior to its release, "Better Tomorrow", had become one of the more discussed albums in recent times. It's even managed to draw a significant interest in more 'mainstream' circles which is another testament to not only her enormous gifts, but also Etana's burgeoning popularity. Like its two elder siblings, the piece comes via VP Records and, this time around, is helmed by the venerable Shane Brown from Juke Boxx Productions (who, incidentally, also vibed the single best album from 2012, in my opinion, Busy Signal's opus, "Reggae Music Again") (as if this album needed any help) (it didn't). Also, it is definitely worth mentioning that , as has become their trend in recent years (if I recall correctly, "Free Expressions" actually had two), VP would also release a 'preview' EP for "Better Tomorrow" called "Reggae" in November last year, which featured three of its eventual fourteen selections. One of the early stories surrounding this release was the fact that "Better Tomorrow" would feature predominantly live instrumentation and would, very much, serve as a platform for Etana to pay a modern tribute to authentic and genuine Reggae music (which follows similar moves from the aforementioned Busy Signal and Mr. Vegas last year - a 'movement' which I am greatly enjoying and hope to see more of) and while such a venture doesn't represent a grand deviation from her style, at all, I'm not complaining in the slightest and you won't be either. I also want to mention the cover, which gave me quite a few different thoughts when I first saw it. When you think of Reggae music and Roots Reggae music, specifically, this isn't the type of cover you would expect, but I think it's perfect. Besides the fact that Etana is an extremely attractive human being, the cover gives the signals that she's very happy (and, if I recall correctly, she had a baby sometime late in 2012 as well) at that moment and with the work to be found within. It's something which definitely catches the eye and is automatically vaguely reminiscent of the kind of beautiful stylized simplicity of the presentation of the "The Strong One" album - which is a good thing. So, the only remaining question of any importance is whether the GLOWING singer on the album of this cover had good reason to be so happy with it? Of course she did . It's an Etana album (she could have shot that cover picture four years before she made this album. She knew this was going to be great). In pertinence to (I guess that explains it), the album utilizing live studio recordings makes its sonic appeal amazing. I don't know the technical words to use to describe it or blah blah blah, but this album SOUNDS incredible and it probably has become my new point of reference for such a situation (overtaking Chezidek's awesome "Judgement Time" set from a few years back) (sequel to that album coming soon). For example, although it is, essentially, an intro, check the opener of Etana's brand new and third studio album, "Better Tomorrow, 'Spoken Soul'. Basically a Spoken Word type of poem, the tune kind of sets the stage for the album to come behind it, but it also is kind of a song on its own and although I use the term "intro" to describe it, it's quite a bit more than that. To my opinion, its most noteworthy revelation comes in its early latter stages where Etana seems to suggest that her idea of a 'better tomorrow' is one which includes a far more simple approach to life and, thus, this album. I could have so much fun over-thinking 'Spoken Soul' (and I think it's worth it), but that piece is followed by what is, in my opinion, the single strongest selection on the whole of this album, the MAMMOTH 'Queen'. While you won't confuse Etana's style with that of the BRILLIANT Trinidad Roots Reggae queen, Queen Omega (those two on the same song simply HAS to happen while I am still on the planet), who gets full-on angry in a great deal of her work and it helps her, I do so enjoy when she brings the bite and 'Queen' is exactly that. I like to think that song is, at least in part, about Etana claiming her place and demanding respect from the tiny remaining faction of unconvinced zombie-like individuals who refuse to give it to her and one could also take it broader as far as further recognizing and appreciating a feminine power, in general. In either case, it is a fantastic song and not only the best tune I hear on this album, but one of the finest Etana has ever done in my opinion. The world will know my name!" The brilliant 'Reggae' [TEARS!] is a song which appeared on the previously mentioned EP named after it (DUH!) and has been a tune which garnered a nice amount of response from last year. It isn't the first that I've heard of its kind, but it may've never sounded this good. It is a composition written to give thanks and praise to the music, itself and it is also a 'LOVE SONG'. 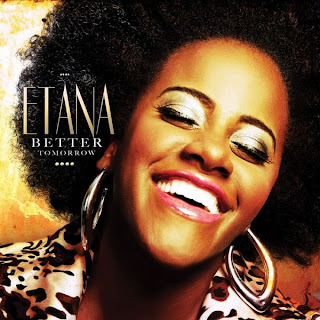 Etana gives the music human characteristics -- she dances with it, she dates it, she charms it, she breaks up with it, they get back together -- it's just a wonderful concept for a song and it also features one of the strongest vocal performances on "Better Tomorrow". 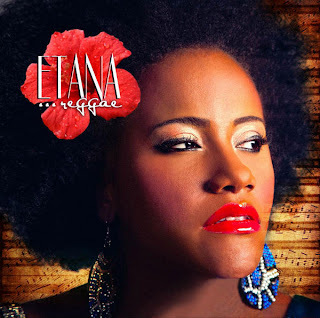 Of all the interesting things about Etana, one of the most often overlooked is that her voice, when she chooses to max it out, is probably one of the best the genre of Reggae has ever heard and she operates it to prime capacity on 'Reggae'. And I'll also mention the other two songs from the EP here. One was a track in, '4 Play 2 Love [Start Over]', which is golden, although a bit complex. It's about rebuilding a failed and broken relationship to be better than it was, while both parties have moved on to new (good) relationships. Maybe it isn't that complicated and I'm just not that smart (I'm not), but the journey to comprehension has be a joyous one. And I should also mention how the lengthy song ends with a running musical display with occasional blips from Etana which was an excellent touch. Speaking of lengthy tunes, the other song from the "Reggae" EP is this album's title track and longest piece, checking in at more than seven and half minutes long. BOOM! 'Better Tomorrow', the song, has a LIVE experience to it as a listener, listening to an album. It is extremely colourful and infectious, so despite being as long as it is (on an album containing four other tunes more than five minutes long and one just a second less), you don't get that feeling that it is too extensive. If they wanted to continue for another hour or so, in fact, I wouldn't have minded at all and it has the 'capacity' that it should as the title of an album of this significance with singing and chanting and great instruments and everything. A beautiful display of music. As it progresses, "Better Tomorrow" shows itself to be an album which includes more than a few truly spectacular moments. Almost everywhere you stop is not only an impressive offering, but a greatly remarkable one as well. The delightful 'All I Need', obviously, is such a moment. Reportedly composed by a touring and rampantly homesick Etana, the song is one espousing on the wonders of Jamaica and everything she misses while traveling. I look at a tune like this and besides loving it, I just think of how great of an idea it was and how well it ultimately came to fruition. I don't know how strong of a reaction it will get, but I also really liked 'Silly' with its pleasant old school charm - the riddim on this tune is LUSH and easy to get lost within. 'The Prayer' has a slight Gospel appeal to it in terms of sound and definitely subject. This piece was about the ever presence of His Majesty ["24/7 Jah will be there! I've got assurance HE's always there"] and HIS influence on life. It didn't take very long at all for this one to grab me and it did to the level of becoming one of my favourite songs on the album. It is a downright magical praising piece and one sure to win over many listeners (including YOU!). 'Beautiful Day' also won't have many problems doing the same thing and if it were going to, perhaps Etana and company took care of that by enlisting the legendary talents of Dean Fraser whose equally renowned saxophone finds itself highlight the riddim carrying the lovely song. It's somewhat straightforward, but I do hear an excellent diversity as well (notice the pace of this song and how much it changes throughout) on a very inspirational song and one which kind of gives the feeling that nothing is ever actually completely hopeless (if you can't appreciate anything, you can appreciate the sun in the sky). And then there is one of the songs I was most anticipating hearing from "Better Tomorrow", the stirring call to action 'Strongest', which did not disappoint. And if you waan good, make that sacrifice! But the greatest things abound to those who will create! WHEN YOU STRUGGLE YOU WILL FEEL THE HEAT, BUT YOU CAN RISE WITHOUT A BURN!" That's the second best song on the album to my opinion and, again, it really shows the singer with more flames and passion which she does, like everything, so well. 'Til You Get Old [Life's Gift]' was a track created for Etana's likely then still unborn child and, as you can probably deduce from such a set of circumstances, it is a very moving and personal tune and you almost want to thank someone for choosing to share such a private moment with the rest of us (and pay very close attention to the riddim on that song. It is better than you're going to think the first few times through). A later big tune, 'Smile', another inspiring selection, comes with its own 'opening act', an interlude called 'Be Alright' (which is very good on its own). Between the two you have something really special as Etana goes the way of Junior Kelly, saying that no matter what you go through, keep a smile a face because "there will be nothing left to do". And finally (not really), also check the somewhat Jazzy 'Whole New World'. This one took me a while to appreciate fully because I was trying to figure out the song's exact course. It is a love song at its core, but despite its title I don't arrive at the thought of it being about a "new" love. I actually think it is centered around finding new experiences in a further developing love. If it gets the opportunity, regardless of its intended course, it would likely shine on a variety of different platforms because of its multifaceted and healthy sound. There is also a WICKED bonus song attached to some versions of "Better Tomorrow", the well passionate and intense 'I'll Fight' [Hey World]', which is well worth tracking down and one of the better songs on the album. "Til the last tear I shed! I did want to quickly mention, as I alluded to awhile back, something about Etana's role in Reggae music right now, in general. With a large amount of respect going towards Queen Ifrica (who we'll also hear from later this year reportedly) and a few others, Etana is now, arguably the most respected and revered female in Reggae music and that's saying SO much. Hers is the dominant figure and, looking back to her musical beginnings, watching her reach this point, with presumably further crossable bridges in her future (and I've always thought that she would have a legitimate opportunity to be the one who FINALLY took Roots Reggae music to the 'mainstream'), has been one of the most fascinating experiences of being a fan of anyone in recent years. What is to be heard on this album and the two preceding it and most of her work has been exemplary and a revolving and evolving testament to her hard work and how much people (including You and I) LOVE her work. Overall, as for this album, what did you expect. It's an Etana album, that means that it is very good AT LEAST. How good is it exactly? I'll compare them this time: I think it's a better album, all around than "Free Expressions" and I think that it is on the level with "The Strong One". "Better Tomorrow", from beginning to end is fantastic and it is anchored by being not only such a fine sounding project, but a finely WRITTEN one as well. I'd go as far as to say that it represents a lyrical step-up for the vocalist as it includes such a impressive assortment of songs which make their point, but also lend themselves, so nicely, to the interpretation of her audience and I love an album which challenges the listener to not only sit there and listen, but pay a special amount of attention as well because doing so makes the experience even greater. And should Etana prove to be "even greater" and should her "tomorrow" prove to be "better" than her right now, well then her quality guarantee will become a guarantee of greatness. "Better Tomorrow" is huge, but I didn't even have to tell you all of that. You knew it already. AMAZING! Buy six copies!